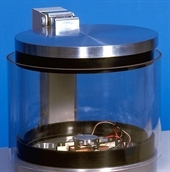 The K750X EM Freeze Dryer operates at rotary pump vacuum using a ‘Peltier’ thermoelectric stage. This means drying temperatures of down to -60°C can be achieved, enabling careful sublimation of frozen specimens under vacuum. Freeze drying specimen preparation reduces the distortion and shrinkage effects that occur when a wet specimen dries by normal evaporation. 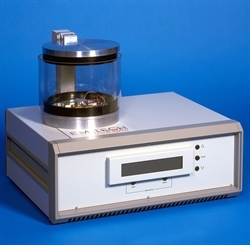 Distortion is due to the forces of surface tension that occur when going from a liquid to a vapour phase, such as from water to water vapour - the normal situation with biological specimens. The freeze drying method overcomes this problem by careful sublimation of frozen specimens under vacuum - a process that avoids the liquid phase and thereby reduces distortion effects. The rate of sublimation is a function of temperature and vacuum, with typical drying times being several hours or longer. Ideally, freeze drying should be carried out at temperatures below the recrystallisation point of ice, but this would require very long drying times. In practice temperatures of -60°C (if back-up water cooling at 15°C is used – see: E4860 heater/chiller option) have been found to give reasonable results under vacuum levels that are achievable with a two-stage rotary vacuum pump. For some delicate specimens, however, it is necessary to dry at temperatures below -80°C with lower sublimation rates. This requires better vacuum than can be obtained using a rotary vacuum pump alone and the lower temperatures associated with liquid nitrogen. For such applications the liquid nitrogen-cooled, turbomolecular-pumped K775X is recommended.